Norton Member of Parliament Temba Mliswa has claimed that a member of the presidium is in a spirited fight to question the source of his wealth and discredit him by tarnishing his name. 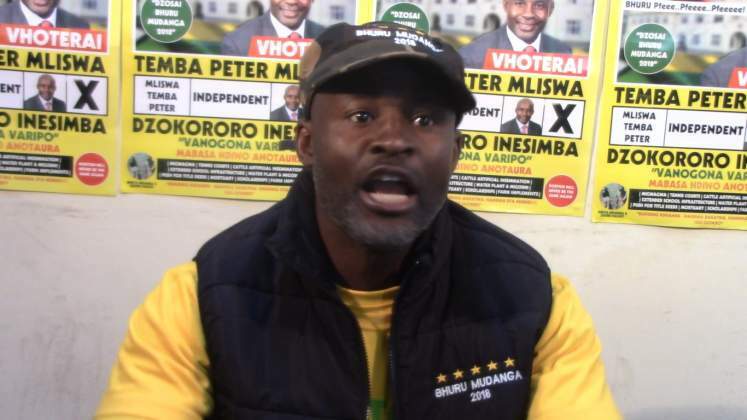 In a frenzied twitter thread on Friday, Mliswa said, "I am aware of a ploy to discredit me emanating from a member of the Presidium irked by my findings. I will name and shame, I am not backing off. I am not afraid of any investigation into my source of wealth and I hope you have got the same confidence when the knock comes to your door." The mention of a member of the Presidium arose a speculation that Mliswa maybe meaning due due to the fallout between the two recently over Hwange Colliery company. Mliswa has been fighting against Ministers Ziyambi Ziymabi and Winston Chitando over the placement of Hwange Colliery under Reconstruction. Mliswa even invited Business tycoon Nicholas Van Hoogstraten to appear before the Portfolio committee on mines and energy a move which irked ZANU PF MPs. Chitando and Ziyambi are widely viewed as President Mnangagwa's blue eyed boys. A fight against them by Mliswa would highly likely attract a backlash from the principal. Mliswa vowed that he will continue the fight against corruption without fear or favour. "The chickens will come home to roost. I will continue the war against corruption without fear or favour. "I will expose the philandering ways of married MPs being used by Ministers to try and gag me whilst compromising Committee work. This means war! I will stand for the people, enough is enough." Mliswa fumed. "Down with double adulterers who cheat on their wives by dating married staffers. Where is the honour in that? I will never make any allegation without evidence, the truth will be revealed. If anyone has anything against me let it be factual but trying to discredit me won't stop me. "Some of these higher offices have resident criminals. The Robert Gabriel Mugabe time of intimidating us is over! All your dealings will be exposed. Just because I blocked one of your deals in Norton you want to create illusions about me? No that is not going to work. Your day of reckoning draws near. Mliswa said because he is an Independent MP no one is going to fire him from position of being MP. "Let this country be liberated of corruption. I will lead the battle. We are tired of corruption but won't tire in the fight against it. As an Independent I can't be fired by anyone for my stance. I don't need positions, but I WIll represent the people in this new dispensation."